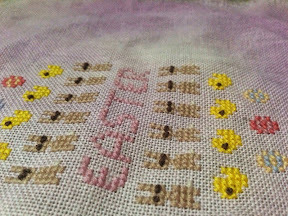 StitchyDonDesigns: Easter Egg Band Sampler Finished !!! Easter Egg Band Sampler Finished !!! 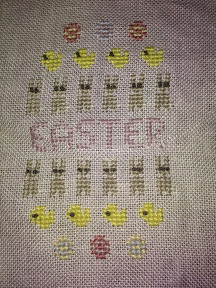 I spent my day off today finishing off Easter Egg Band Sampler. This was a chart I designed myself and is available here as a freebie. I stitched it using DMC Threads on fabric from The Crafty Kitten. This was my first time designing and then stitching a design I had made, and I had to say I enjoyed it. It did take me a long time to decide what colour to make the French Knots haha !!! Page Finish on Dolphins ! !